Hey everyone! Today we are launching Wortox, please enjoy! Possessions A playful imp with a colourful past, Wortox was once a gentle (if rascally) forest creature without a care in the world -- until the day he inherited a terrible curse, and lost a close friend. Unlike the other Survivors, he does not appear to be trapped in the Constant. Perhaps he views this as some sort of game? Please enjoy this glimpse into Wortox’s past: Wortox’s Abilities Wortox the Soul Starved has hopped his way into the Constant to join our intrepid band of Survivors. He’s a fun, mischievous fellow with a big, kind heart… minus the fact that he eats souls for sustenance. Here are his details: Wortox catches the Souls of creatures that die around him. Souls can be used for the following abilities: Wortox can eat delicious souls (then loses some sanity). Wortox teleports a short distance. Release Souls to heal nearby allies. Unfortunately for Wortox, his body craves Souls. Food is only ½ as sustaining. Wortox can be overloaded with Souls, causing him to drop them and lose sanity. Wortox is less afraid of monsters. As with Winona, we will likely be tuning Wortox with balance adjustments in the future. Please let us know your thoughts and feedback! Wortox can be unlocked in the following ways: Wortox is available for purchase for $6.99, in the Wortox Chest. Wortox’s Survivor skin set is included in this chest for free. The Wortox Deluxe Chest is $10.99 and includes the Survivor, Minotaur and Uncorrupted skin sets. You can weave Wortox for 2700 spool. These are the different Wortox outfits we are launching with: Console Update Unfortunately we hit a bit of a snag. XboxOne will get the update today but we aren't able to get it out today for PS4. It's possible we can have it out tomorrow, but we expect it to come next week. We're sorry for the delay. The following bundles are now available on console: Wortox Deluxe Chest Voxola Warehouse Chest All Survivors Gladiator Chest Official Chinese Support New to this release, our in-house Chinese specialist has reviewed our entire string library (more than 25,000 strings!) and we are now officially supporting Simplified Chinese. If you have any feedback on our translation, we would be happy to hear it. Upcoming At the end of April we are planning to release the first major game update. This first update will be focused on laying the groundwork for more content. In addition, the next character to be refreshed will be Willow, launching at the same time as the game update. Onward and upward! Hey everyone! Today’s a big day for Don’t Starve Together. We have quite a few things to talk about today, from Winona’s character refresh, to some lore content, to a drastic increase in drop rates. Here we go! Next of Kin Every character has their story, and with each refresh, we will be revealing a bit more of their past. See what memories Winona has to share with you here: Winona Refresh Winona has been hard at work since landing in the Constant, and she’s invented a couple new ingenious tools! She can now construct a catapult to keep enemies at bay, as well as a spotlight to keep her and her friends safe from Charlie. Both of these gadgets are powered by her new portable generators. Unfortunately, her hardworking nature may get the better of her and she may work up an appetite without proper planning. We’re also launching the new Industrious skin for Winona, an Industrial-themed item set, and the classic Guest of Honor, Triumphant, Survivor and Rose skins are now all available for purchase. All owners of these classic skins prior to today are now upgraded to an “Heirloom” rarity, with full unraveling value (that is, an Heirloom Elegant can be unraveled for 1350 spool). New Drop System In addition to these new skins, we are announcing drastically improved drop rates for everyone. We want to make sure that players are able to earn skins and new characters in a reasonable amount of time. They previously could not so we felt the drop rate needed to be revised to reflect that. We are starting this new drop system before the first new character to give everybody a nice head start to earn spool before it’s release. The first thing we are doing is providing a daily item bonus. Each day you play, you will receive a drop simply by logging in. Secondly, we are doubling the amount of timed drops that are given per week to 8, up from the previous 4. Along with the daily item bonus, players can now receive a total of 15 items per week, nearly 4 times the previous amount. And finally, we have increased the frequency of elegants and other rare items in the drop table. Our previous drop rates were as follows: Common: 68% Classy: 23.00% Spiffy: 6.00% Distinguished: 2.50% Elegant: 0.50% Today, the drop rates are: Common: 52.7% Classy: 26.0% Spiffy: 13.0% Distinguished: 6.0% Elegant: 2.3% Console Purchases We finally have consoles able to purchase skins! This is a first step, we would like to be able to offer parity between PC and console on skins, but there are some technical details in order for us to support many different packages. In the meantime, we’ve made the following bundles available for purchase: Complete Gorge Chest Magmatic Bundle Winona Deluxe Contenders Promo Chest Upcoming We have lots more in store! Our first new character is launching later this month, new Twitch items are coming next week, and the first pass of our new content is coming in April. Enjoy! Hello everyone! It’s been a while since I’ve made a post here, I’d like to share with you our plans for 2019, which are extensive! First, I’d like to recap what happened in 2017/2018: In 2017 we launched the Forge, and followed it up in 2018 with the Gorge. The idea was that we could offer a new way of playing Don’t Starve Together, in a limited-time format. We were a bit burned out on creating DST core game content and this format allowed us to try something a bit different, so we made these crazy game modes and provided them to the community for free. Every time we launched these events, tons of players came to play, and in every instance we hit our highest ever DST concurrency. We’re super thrilled that so many people came to play the our weird game events! While we enjoyed the events and are happy with the result, there were some drawbacks: They took WAY longer to make than we expected, so we weren’t able to make as much content as we wanted, and it left little time to do things like bug fixes and Quality of Life updates for the base game. Because we run the servers for these events, we also incurred the cost of these servers. Those of you who have been here a while know that Don’t Starve was not architected to be a multiplayer game, so running them on our servers was extremely inefficient. In short, even though we loved that everyone came to play, the item sales were only barely covering the costs of the servers. We found that it was exceedingly difficult for us to run these events on console and as such underserved our console players. It has been a valuable experience and we think the game is better for it, however we feel that it’s time that we turn our attention back to the core Don’t Starve Together experience: surviving together. Here’s what we’re doing for 2019: Brand New Content The team is now working on brand new content for Don’t Starve Together. Survivors will be able to travel to new lands with new biomes, creatures, and more. The first drop of this new content will come in mid-April, and we will continually be adding to the content every couple months afterward. As we said before, we think it’s important that everyone can play together and we don’t segregate our audience, so all of this content will be available for free to everyone! Character Refreshes The team also felt it was high time we gave our core cast some love (yes, we heard you). Over the course of the next year, we will be bestowing every character with revamped abilities, and give a glimpse into their backstory. Our goals here are to make each character unique, interesting and valuable in their own right and we expect this to be game changing in many ways. Starting in March with Winona, we will be releasing a character refresh once a month. These character refreshes will again be free to all players, and we will be selling new skins for these characters on the month they are refreshed. In addition, the Triumphant, Guest of Honor and Survivor skin packs will be available to purchase for the character on that date. All owners of these skins prior to that date will be upgraded to an “Heirloom” rarity, with a higher unraveling value. New Characters Enter the Fray A fresh batch of four characters have been unwittingly ensnared and brought into the world. These new survivors will be released into the wild starting in Mid-March, and a new one will be released every 2 months. We are still deciding the final price of these characters, but we currently think they will be $6.99 USD each, which includes a full character skin set. You will also be able to weave the characters with spool. Since we do not want to charge players for the new world content, these new characters will be our main way to fund development of this new content. Console Development We are working hard on keeping the console versions of the game up to date. Specifically, we are investing in technology to allow us to more quickly update the game without going through lengthy certification on every small change, and we've also added more staff to work exclusively on updating the console versions. We're happy to say that the next update for the Year of the Pig King event will launch within 2 days of the PC version. Quality of Life, Twitch Drops, Etc. We will also be continually updating the game with bug fixes, QoL updates, new skins for Twitch drops, and more things that we’re not quite ready to announce yet. Speaking of which, the Year of the Pig King update is going live on Thursday! Long Live the (Pig) King! -- And that’s it folks! In short, we are significantly increasing our support of Don’t Starve Together in 2019 with new game content, character refreshes, new stories to be told, new characters, and new skins. Thanks so much for playing this crazy game, once again. I’m still amazed at how it’s evolved over the years. Please give us your feedback and thoughts! Hey folks, Apologies for the long time between updates! To make a long story short, we are still working on this game and it is not cancelled. Whenever we make a game, we set out to create a new experience. That means that scheduling a new game is really, really hard for us, because we’re not sure when it’ll all work out. Sometimes it works out pretty quickly, other times, it takes a whole lot of back and forth and reworking. Invisible, Inc. comes to mind as an example; for the first couple years of development it went from a multiplayer mobile game, to a tactical combat game, finally converging to the stealth espionage that we shipped with. This time, we jumped the gun on announcing it because we thought we were further along than we were. After testing it out in-house, though, we felt that the game just wasn’t delivering the experience we wanted, so we went back to work and have quietly been working on it since. We didn’t want to give another date until we were confident, but I agree we should have kept people here more in the loop. Sorry about that! The game is much further along now, but we’re still some ways from announcing a new date. Once we have more information, we’ll let everyone know. Thanks for everyone’s patience! Hello, everyone! With the release of Rocketry Upgrade we're getting close to the end of the roadmap we shared last August, so it's time for us to step back and assess where we are and where Oxygen Not Included is going from here. Oxygen Not Included is a game built on intertwined systems. Since Pre-Alpha we've been introducing systems and weaved them together to create a simulation that provides players with dynamic challenges to the survival of their colony, as well as the tools they need to exploit those systems to improve the Duplicants' lives. Throughout this process we've added a ton of new content, tweaked and added to the simulation, and created new systems. There's still a lot of room for new and interesting content within these existing systems. In addition, the balance of the game has often shifted as new features were added, and we now need to stabilize that balance. After the next Upgrade, we'll be changing gears and going back over the whole game to focus on polish, performance, balance and missing content. In addition to solving technical issues, we want to make sure that the beginning of the game is approachable and fair for new players, and that the situations a colony encounters have enough variety that each playthrough feels fresh. We're going to add another batch of space industry content in the October 18th upgrade. From there we'll begin releasing updates on an 8-week cycle, with an open testing branch 3 weeks before each release. This is similar to how it is now, but at a longer pace. Each of these updates will be focused on content, stability, and user experience improvements. They won't necessarily have a big unifying theme like they do now, but there will still be new smaller pieces of content to play with. Does this mean the game is done? Definitely not! This just means we're going to shift our attention to fixing issues and polishing up the experience. When Oxygen Not Included officially launches, it will be a complete and accessible journey that anyone interested can play and enjoy, and we have a fair bit more work to do before we feel that we are there. We’re also scheduling a new feature and content update for that launch to mark the occasion. We're extremely grateful to all of you for your feedback and encouragement so far! Oxygen Not Included is a complex game, and we appreciate that we can grow the game with the help of our community. We read your feedback every day and try to bear in mind the diverse play styles and experiences everyone has as we're designing this game. So for everyone who has already joined us on this journey, and those who haven't joined yet, an enormous “Thank You!” from the whole team! Hello everyone! We’ve been a bit quiet about Don’t Starve in the last few months, but we’ve been hard at work. Today I’d like to announce a few new things that we’ve been working on: Don’t Starve: Hamlet The first thing to announce is that we’ve been working on another Don’t Starve singleplayer DLC! Wilson has found the portal to the origins of the Pigmen, and he’s off to explore their civilization. There may be some bushwhacking and tomb raiding involved, too. Hamlet will be available in Q1/Q2 2018. More information will be shown as we get closer to launch. You can check out the store page for screenshots and wishlist it here. Don’t Starve: Shipwrecked Content Update We have a little surprise for you: Shipwrecked is getting more content! We have added the following to the game as a free update. In order to test these changes, we’ve put it into a Steam branch called “beta” with the password “shipwreckedbeta”, which is available now. Here are instructions on how to access the beta: http://support.kleientertainment.com/customer/portal/articles/2873712 World Crockodogs. Will hound you at land and sea. Ballphin followers and the Ballphin Den. Roe. New food item. Stocks the fish farm. Cormorants. New sea bird. Source of Roe. Tar Slick. Pools of crude oil bubbling on the surface of the water. Tar. New resource. 3 new variety of tropical fish. Rainbow Jellyfish. Coral Nubbin. Replant coral after it's mined. Ox will produce offspring. New Craftables Galley and Sea Lab . Make your base at sea. Sea Yard. Keeps your ship repaired on the water. Tar Extractor. Gets Tar from Tar Slick. Tar Suit. Temporary protection from wetness. Tar patch. A sticky situation. Oil Lamp. Quick lightsource for land and sea. Fish Farms. Grow food on the water. Encrusted Boat. Quackering Ram. New craftable for the Quacken Beak. Sea wall. Water craftable wall. Blocks waves. Tropical Bouillabaisse. New recipe with new tropical fish. Caviar. New recipe with Roe Don’t Starve Together: The Forge In addition to the singleplayer DLC, we are also announcing that we are working on a series of events for Don’t Starve Together. DST events are limited-time play modes that create a new way to play with the cast of Don’t Starve. They serve as a way to mix up the experience, allowing us to try crazy new things without breaking the core game. Events are free for everyone who owns DST to play and will be coming in November. With the Ancient Gateway activated our survivors now find themselves trapped in a hostile world of fire and battle. They’ll need to team up to defeat the Battlemaster’s army and his champion, the Grand Forge Boarrior, if they have any hopes of returning home. Here’s what’s in store in Don’t Starve’s first event, The Forge: 6-player co-op challenge, where the goal is to try and defeat the Grand Forge Boarrior in an arena. The only way to survive will be to work together. New creatures and bosses with their own attack patterns. New character traits for all characters, each with their own bonuses during combat. New weapons, armor, items, and combat abilities to help you survive the onslaught. Players who participate in the event will also be eligible to earn event specific skins. For the skin system, we are doing several changes: Far more skins will drop for players than ever before (by a factor of 4x or more!) There’s a new trader in town! If you get duplicates, you will be able to break them down to scrap and craft them into event items. The event features event-time skin drops, including the Warrior Skin Set, putting each character in grizzled gladiator-wear. In addition to the chance of receiving them as drops, players will have the option to purchase a single character’s Warrior Skin Set for $2.99, or the entire Warrior Skin Set collection for $12.99. The nature of the skins themselves will not change, they are still purely cosmetic and optional. However, purchase of the Warrior Set will help us fund further content and events like this one. We hope that with this mechanism, we can both continue creating great free content while also supporting the development team. In addition, this method of funding allows us to provide content to all our players, instead of splitting the player community if we implemented it with a DLC paywall. This is just the first of many experiments we intend to run, and we would love your feedback! We have many ideas for events, and we would love to know what you would liketo see. And more! Besides events, we will also continue working on Quality of Life improvements and bug fixes. And finally, a new challenger has arrived in Don’t Starve Together, and she is coming to all platforms and is available on Steam now! Armed with her indomitable spirit and trusty mending tape, Winona seems to have been plucked straight off the factory line and dropped into the world of Don’t Starve for something or someone’s unfathomable amusement. There may be more to her arrival than it appears, however, as more than a few eyes will be watching the next move of the newest survivor… Whew, that’s it! Once again, thank you for your support of our games! F.A.Q. When is Hamlet coming? We estimate Q1/Q2 next year, but as always, we’ll keep working until we feel it’s ready! Why not sell DLC for Don’t Starve Together instead of skins? 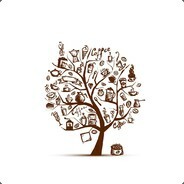 DST is a multiplayer game, and we decided that we want everyone to be able to play, instead of splitting the community. We hope that in this way, we can continue to develop updates for the game while allowing everyone to enjoy it. When is The Forge being released? We are aiming to release it this November. Are the events coming to console? The events are going to launch first on PC, but we are looking into bringing them to other platforms at a later date. Hey everyone! As we enter Early Access, the Alpha price of $19.99 will be retired and the base price will become $24.99. In addition to this, we will be providing a 20% loyalty discount for all Klei game owners, so for these players the game will continue to be $19.99. However, while adjusting the prices, we realized that certain currencies had odd Steam pricing tiers that were non-linear, and in conjunction with loyalty pricing, we found that Early Access players could end up getting the game cheaper than our Alpha fans. We think that’s not great, as we really appreciate players taking the chance on us for Alpha. Thus as a thanks for supporting us, we will be providing a free gift for ALL our Alpha players. On July 12, all players who purchased the alpha version of the game will be given the opportunity to choose a gift from a selection of our top selling games. If you already own all of the games (thanks for your support!) then you will be able to choose a gift box containing rare Don't Starve Together skins, with a guarantee of at least 1 elegant skin. This offer will only be available to Alpha players who purchased the game at the original price and will not apply to purchases made during Early-Access. We will have more details about this offer when it’s available. For now, you can head over here and let us know if you would like to be notified when your gift is ready. Thank you so much for playing Oxygen Not Included, your feedback has been amazingly helpful! Now Live! Qualified players can now head on over to http://oxygenalphagift.klei.com/ and get your gift! Hello folks! It’s finally time to announce that we are going out of Early Access. Our official launch day is April 21, just 2 weeks away! As we discussed in our last update in December, we are finally at content parity with the base game. Maxwell is on his way, the mandrake is in, caves are hostable without jumping through fiery hoops -- we now feel the game is ready for the general public and we’re ready to tell everyone. This has been our longest Early Access yet (and we’ve done 3 full games and 2 expansions through early access). Both integrating Reign of Giants and Caves were undertakings, and we really appreciate the patience you’ve had with us. Thank you! Through the Ages Many moons ago, we discussed launching Through the Ages, and it got waylaid by getting to content parity. We felt strongly that getting to parity at our quality standard was the most important priority, and it took much longer than expected. We’re finally here, and we are now actively working on new content. The team is breathing a sigh of relief that we get to build brand new content again. I’m going to leave Ipsquiggle to talk about Through the Ages as it evolves, but the first step of it is coming to you at Launch: we’re putting in small variations to the basic biomes so that every generation feels a bit different, and these will transition over time as you play through the seasons. As a refresher, the focus of TTA is the evolution of your world over a longer period of time, and more variation between worlds. This will take time to develop, and we will keep you in the loop both in beta branches and through our Rhymes With Play twitch stream, and of course right here in the forums. I’d say this is going to take about 6 months to develop, but uh, I’ve been off before. And that’s a (Early Access) wrap! Thank you all so much for joining us on this Early Access journey. It’s always an adventure to evolve a game with the players, and we have a ton of fun doing so. For Don’t Starve Together, launch is just signalling that we’ve achieved that first step of bringing Don’t Starve to be a full-fledged multiplayer experience. We get that there’s still a lot more to develop -- from longer play sessions, to better modding tools, to improving the state of PvP and exploring the lore -- there’s always more to do than we have hands, but thankfully we’re here for the long haul, as long as you are, too. Thanks! Background Wallpaper: here F.A.Q. What about Shipwrecked for DST? We don’t have any concrete plans right now. Shipwrecked was built without DST in mind, and we’re going to need to evaluate how much is needed if we were going to do this. We would all love to go sailing with our friends! What about PS4? It's in the works! Console development often takes longer than one would hope, but the good news is that we’ve been continually merging in the changes from PC, and the game is coming along well. We'll update you the moment we have more info. I just want to echo @JoeW: lots of great feedback. Thank you! 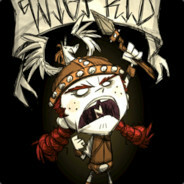 Don't Starve Together: Floodgates are Opening Soon! @kraken121 -- Don't Starve Together uses a lot of the Steam API's to function, so at this time, Don't Starve Together is only available on Steam. If you have a standalone key, that should work just fine on Steam, though! Hello everyone, It’s time for another update on Don’t Starve Together! In our previous Roadmap Update we announced that we were focused on 4 major things; dedicated servers, controller support, Mac/Linux support and Reign of Giants. As of recently we have achieved each of these goals. While we have some more work to do to polish these things, they are currently looking good and we want to update you all on what’s next. We can now confirm that Don’t Starve owners will be gifted Don’t Starve Together on June 3, 2015. For everyone who has participated in Early-Access so far, we are extremely appreciative. Your playtesting has been amazingly helpful to help us scale our systems. Now that Reign of Giants content is in, we need a bit more time to make some adjustments and iron out the bugs on this massive update, which will take a few more weeks. Initially, we had wanted to wait until the caves content (more info below) was in before opening the floodgates, but we believe that the game’s in great shape and players have waited long enough. So come June 3rd, all Don’t Starve owners in Steam who don’t already own Don’t Starve Together will get DST for free; and we will continue with Early-Access in order to complete the caves, fix up any leftover bugs and make some more general improvements and other goodies as we have throughout early-access. On June 3rd, new Don’t Starve owners will no longer get Don’t Starve Together, and there will no longer be a loyalty discount. In other words, if you haven’t bought Don’t Starve yet, now would be a good time to do so! The main packages available on June 3rd will be the following: Don’t Starve will continue to be $14.99Don’t Starve Together will be $14.99, and include an extra giftable copy of Don’t Starve Together for your friendDon’t Starve + Don’t Starve Together + a giftable copy of Don’t Starve Together will be $19.99Now that we’ve covered that, let’s discuss a bit about the future content updates. Upcoming Updates In the short term, we are continuing to make lots of improvements to the game. Some things include: More collaborative tools to help players work with each other (writeable signs, anyone? )A streamlined UI to help players find the servers they’re looking for, and more easily manage their servers.Moddable vote-kick options.And more!Through the Ages A few months ago, we also discussed our plans for Through the Ages, and our expected timeline. Our priorities have been to get the game ready for Don’t Starve owners first, and then work on Through the Ages -- because this took longer than expected, we’ve had to push out the date for Through the Ages content. I don’t have concrete dates for this right now, but I can say that we’re actively working on the content and will become our focus after Early-Access ends. As we discussed, this expansion is free for all players! Caves Because caves is implemented as a separate world in Don’t Starve (it is separately generated), it is a relatively significant technical hurdle for Don’t Starve Together. We’re currently working on some ideas, and when we have more information to give you we’ll update you as we have more information. F.A.Q. After June 3, will new purchases of Don’t Starve get Don’t Starve Together for free? No, we will only be gifting a free copy of Don’t Starve Together on June 3rd;This means that June 2nd, will be the last day to qualify to receive Don’t Starve Together by purchasing Don’t Starve. After this date, there will no longer be a loyalty discount to upgrade to Don’t Starve Together as well. When is the end of Early-Access? We do not have a current date for the end of Early-Access. When we have a solid date, we will make sure we announce it here. Hey everyone! Okay, we’re now into the next phase of our Beta! I just wanted to keep you abreast of how things are going, and what is going to happen in the next phase. A long time ago, we discussed making Don’t Starve Together an update to Don’t Starve, and then raising the price of Don’t Starve to compensate. As we continued with building Don't Starve Together, the code diverged significantly, and it became clear that Don’t Starve Together would be a standalone expansion. Thus, it didn’t make sense to force a price increase on our players, so in order to give players more choice, we’ve done the following: All owners of Don’t Starve on Steam will get Don’t Starve Together on June 3rd 2015! If you would like to buy both Don’t Starve and Don’t Starve Together as a bundle post-launch, it is $19.99 -- the same price as if we increased the price of Don’t Starve. If you would only like to buy one or the other, it is $14.99. This way, people who currently own Don’t Starve on Steam still get multiplayer for free, and all new players get more choice. From a pricing perspective, it’s either the same price (the bundle) or cheaper (if you just want one of the other). To wrap up, instead of simply updating Don't Starve, we have made it a stand-alone expansion, and we are gifting the game to all Don't Starve players on June 3rd, 2015. If you haven't already, see our Roadmap for info about what things are coming for DST. I hope that clears things up for everyone! Once again, let me know your comments / questions and we’ll be happy to discuss. Now, on to making Wilderness Mode.